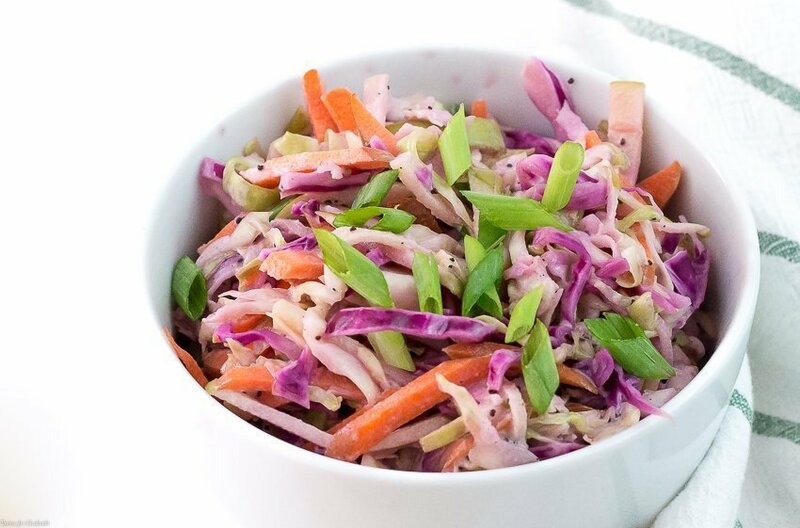 This Apple Poppy Seed Coleslaw gives classic cabbage coleslaw a seasonal twist with tart Granny Smith apples. 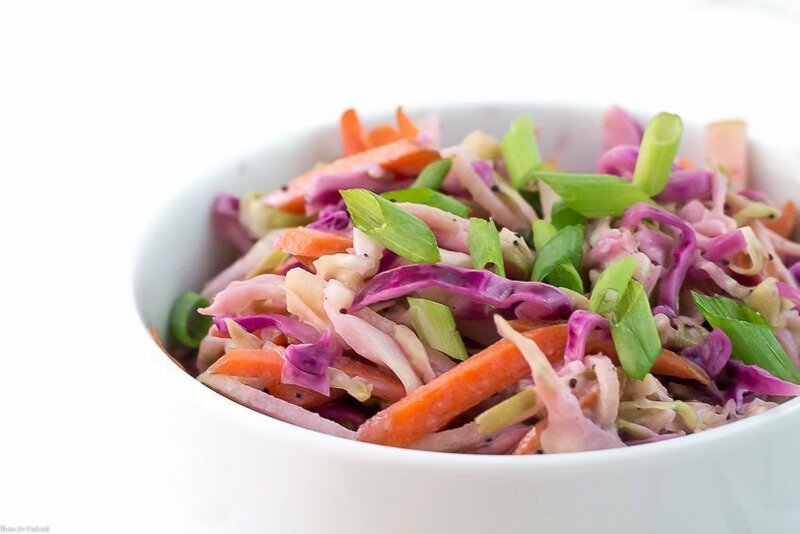 Shredded cabbage, julienned apples and carrots in a tangy Greek yogurt poppy seed dressing. I have been craving summertime Southern food the last few weeks. Think fried chicken, sweet tea and all the rich sides you can image. Makes me reminisce about when the kid was really little and I was on active duty in Alabama. 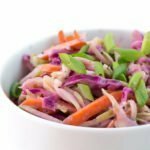 [bctt tweet=”Apple Poppy Seed Coleslaw #fresh #real #food #seasonal” username=”thyme4cocktails”] He was just a baby back then but he loved to stuff his chubby little cheeks. We would stop at a local deli for snacks, grab a blanket and head to a local park to spend our summer afternoons. I can still remember the look for pure joy on his face when he ate fried chicken for the first time. And he loved to crawl around in the sunshine, nibbling on apple slices while we giggled for hours. 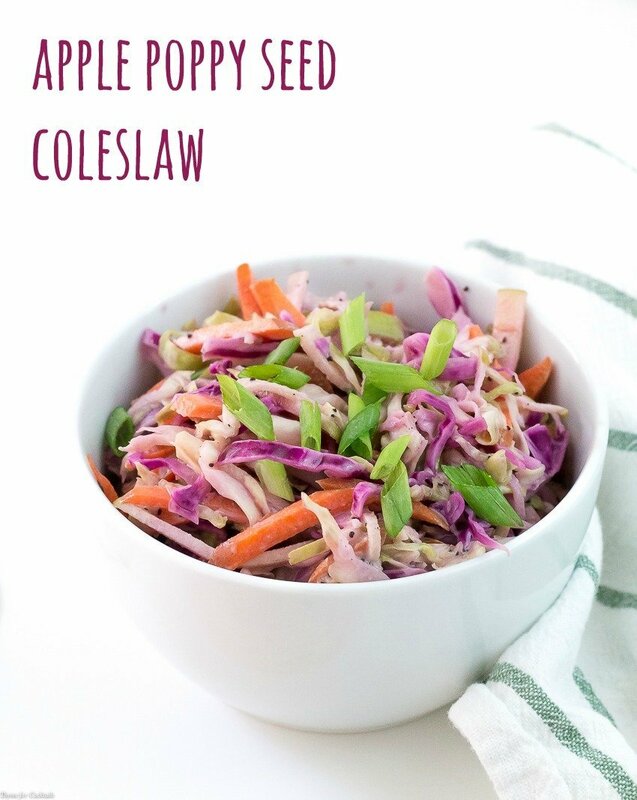 This Apple Poppy Seed Coleslaw reminds me of those days when I could scoop him up and hold him tight. He was such a happy chunky little monkey. Now he is all grown up and getting ready to start his own military adventure. 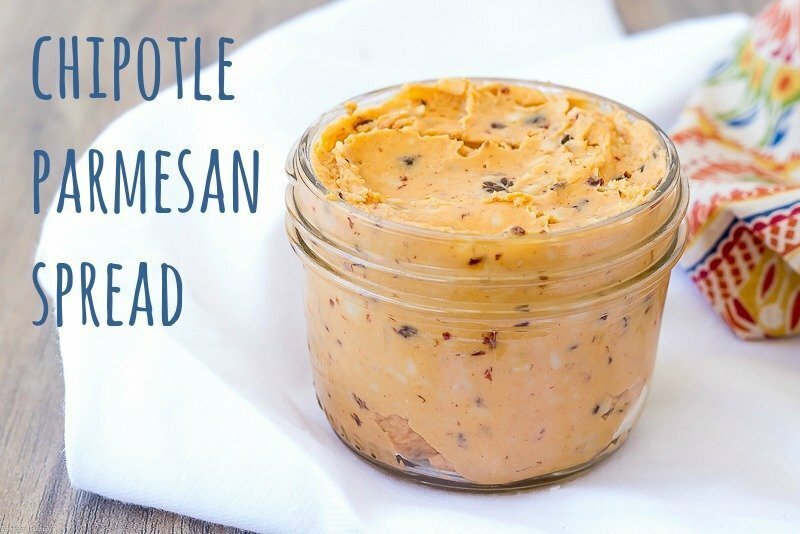 In a large bowl whisk together yogurt, mayonnaise, vinegar, honey and seasonings. Salt and pepper to taste. 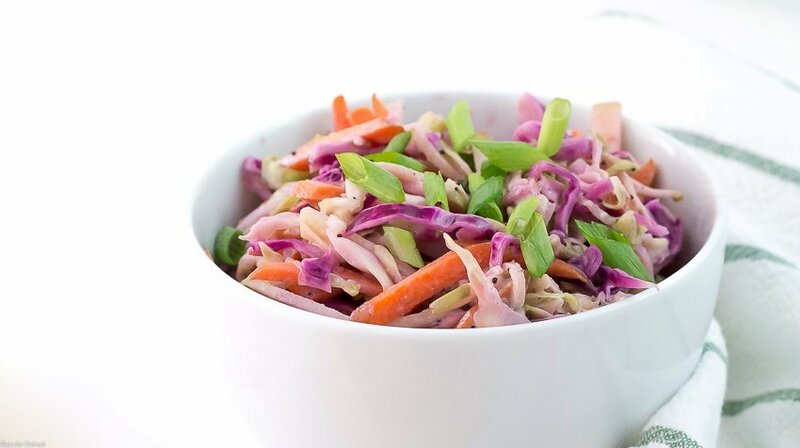 Add cabbage, apples, carrots and scallions to bowl, toss to combine throughly. Store leftovers in an airtight container in the refrigerator for up to 1 week. Toss before serving.